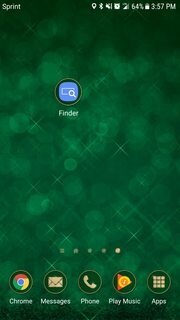 A few days ago, my Samsung Galaxy S6 added a shortcut to "Finder" on my home screen. I looked through my app list, and I can't find an app with that name. What exactly is it, and how did it get added to my home screen? If it's relevant, I'm in the US and use Sprint as my carrier. I haven't been able to find this in my app list. What is this app, and if I want to uninstall it what do I need to do? Not the answer you're looking for? Browse other questions tagged samsung-galaxy-s-6 uninstallation or ask your own question. 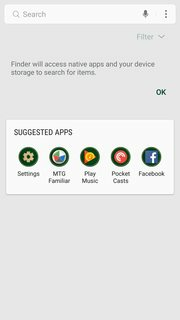 Can I add a mobile data shortcut?